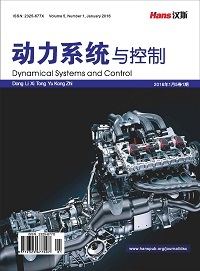 Based on the vehicle-track coupling dynamics theory, a spatial dynamic model of train-steel-spring floating-slab track interaction is established, and the vibration characteristics of train passing through the steel-spring floating-slab track are analyzed. 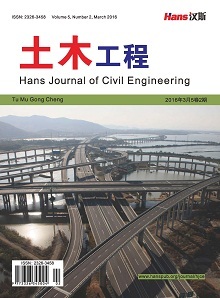 The results show that the interaction system is periodically stimulated by the change of stiffness at the joint of floating-slab and by the load corresponding to vehicle distance. There is no resonance between the vehicle and the floating-slab. The wheel-rail interaction is obvious in the frequency range of 40~100 H, and increases with the decrease of the vertical support stiffness of the steel spring. The vibration of the car body and the slab increases with the decrease of the vertical support stiffness of the steel spring too. 刘维宁, 马蒙, 刘卫丰, 等. 我国城市轨道交通环境振动影响的研究现况[J]. 中国科学: 技术科学, 2016(6): 547-559. 李伟. 地铁钢轨波磨成因及其对车辆/轨道行为的影响[D]: [博士学位论文]. 成都: 西南交通大学, 2015: 12-15. Kuo, C.-M., Huang, C.-H. and Chen, Y.-Y. (2008) Vibration Characteristics of Floating Slab Track. Journal of Sound and Vibration, 317, 1017-1034. 吴磊. 地铁车辆–钢弹簧浮置板轨道耦合动态行为的研究[D]: [博士学位论文]. 成都: 西南交通大学, 2012: 30-34. Forresta, J.A. and Hunt, H.E.M. (2006) Ground Vibration Generated by Trains in Underground Tunnels. Journal of Sound and Vibration, 294, 706-736. 罗艺. 青岛地铁3号线钢弹簧浮置板地段振动特性研究[D]: [硕士学位论文]. 青岛: 青岛理工大学, 2018: 19-23. 王富双. 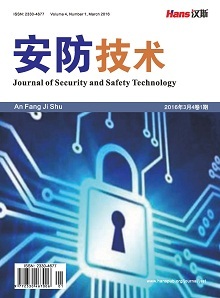 钢弹簧浮置板减振轨道优化设计研究[D]: [硕士学位论文]. 青岛: 青岛理工大学, 2014: 46-53. 张宏亮. 隧道内钢弹簧浮置板轨道结构振动特性及其对环境影响的研究[D]: [硕士学位论文]. 北京: 北京交通大学, 2007: 18-30. 翟婉明. 车辆–轨道耦合动力学[M]. 第三版. 北京: 科学出版社, 2007: 38-48. 曹志远. 板壳振动理论[M]. 北京: 中国铁道出版社, 1989: 13-20. 金亚. 地铁钢弹簧浮置板轨道结构减振性能分析[D]: [硕士学位论文]. 大连: 大连交通大学, 2017. 李俊岭. 地铁钢弹簧浮置板轨道对环境振动的影响分析[D]: [硕士学位论文]. 成都: 西南交通大学, 2011: 40-41. 10-13. Zhai, W.M. (1996) Two Simple Fast Integration Methods for Large-Scale Dynamic Problems in Engineering. International Journal for Numerical Methods in Engineering, 39, 4199-4214. 陈果. 车辆—轨道耦合系统随机振动分析[D]: [博士学位论文]. 成都: 西南交通大学, 2004: 21-24. 国家标准局. 铁道车辆动力学性能评定和试验鉴定规范. GB5599-85 [S]. 北京: 中国标准出版社, 1986.